Maryl Velbeck is not only a seasoned editorial hairstylist, but she also makes her living doing hair for underwater photography. “When I’m working, I can spend 10 hours or more a day in the pool,” she relates. “When I have a day off, I still spend time in the pool. It relaxes and strengthens my muscles and centers my thoughts. To prevent and eliminate chlorine-related damage, I’ve created a healthy hair ritual for before, during and after I’ve been in the pool. It’s an easy plan to follow that minimizes damage caused by taking one too many dips in the pool. • Before getting in the pool, drench your hair with water. • Run a combination of conditioner and cold-pressed oil through your hair. If your hair is short, use 1⁄2 teaspoon of straight coconut oil or macadamia oil; if it’s long, use 1 tablespoon. You can buy these oils at Trader Joe’s and health food stores. Both oils are biodegradable and won’t clog pool filters. • If your hair is long, put it in a high, tight bun; if it’s short, comb it straight back to form a shell. • Wear a Speedo silicone swim cap that’s designed for competition. A lot of people balk at this, but once you get used to wearing one, it feels wrong to dive into the pool with your hair unprotected. • Never sunbathe with chlorine in your hair. 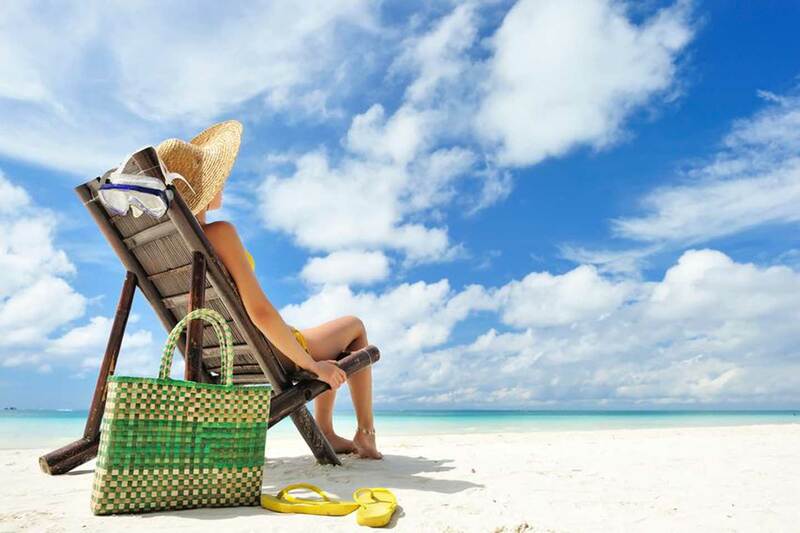 When UV rays are combined with chlorine, the amount of damage grows exponentially. • After your last dip in the pool, immediately shampoo your hair with a swimmer’s shampoo. 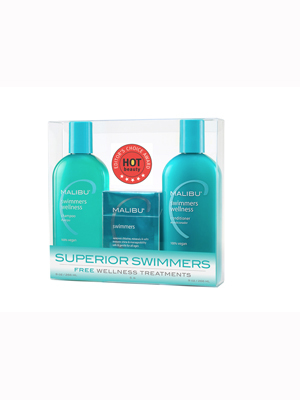 I recommend and use Malibu C Swimmers Wellness Shampoo and Conditioner. 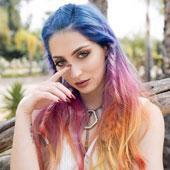 • Once a month, I also do a Malibu C Swimmers Natural Wellness Treatment, which removes all discoloration caused by copper oxides and other minerals found in chlorine and restores my hair to a healthier, shinier and more manageable state. It’s easy to do at home! About: Underwater hairstylist Maryl Velbeck and her husband and partner, Ming h2 Wu, travel the world to photograph underwater beauty and fashion images, as well as commercial photo shoots.